WATERSHED was originally conceived during Anita Glesta’s residency as a LABA fellow. 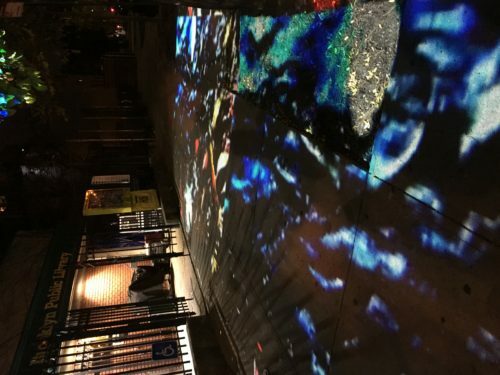 Since its iteration as a projection of frenzied fish on the sidewalk in front of the 14st Y where people “walked on water”, WATERSHED has been shown in several iterations internationally. 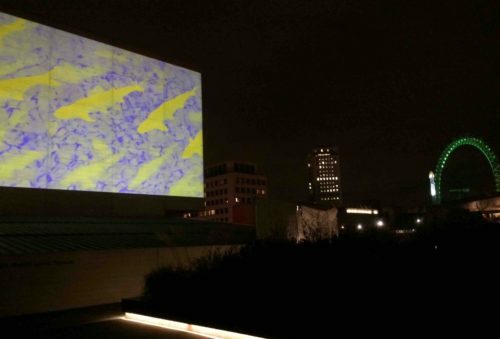 WATERSHED is a powerful public art initiative that brings the natural world into urban public spaces by projecting images and sounds of colorful fish and flooding water on or within architecturally prominent structures. These unique projections create a mesmerizing and hauntingly beautiful virtual seascape which invites the viewer to engage with their entire physical and psychological selves and to stimulate awareness of the local effects of climate change. The artist envisions this project as traveling world wide to waterfront cities, tailoring the imagery to respond to site and organizing appropriate round table discussions. 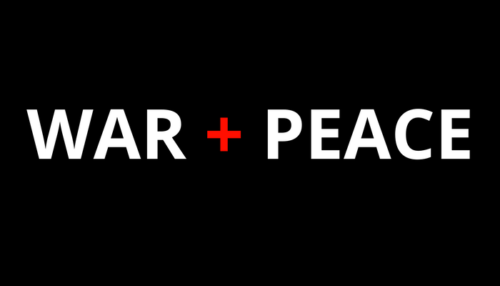 The work aims to catalyze conversation and action about climate change and the resulting sea level rise. In the past three years WATERSHED has been prominently featured at waterfront cities worldwide including on the face of the National Theater in London in 2015 during the Totally Thames Festival and as an immersive installation on the floor of the lobby of the Customs House on Ellis Island for an evening with Al Gore in 2016. In the fall of 2017 WATERSHED was installed on the 80′ sidewalk in front of the Brooklyn Public Library in Red Hook Bklyn to commemorate the fifth anniversary of Hurricane Sandy. This area was hard hit by the event and the damage was still evident. During its two day installation, the artist organized a round table that included the Brooklyn Borough President and Deputy President, local council people, two representatives from the Mayor’s Office of Resiliency and Recovery, scientists, urban planners, economists and community residents and spokespeople. Which Jewish text(s) inspired the piece? Anita Glesta, an internationally recognized artist with a decades-long exhibition career, has the ability to intimately connect with the viewer as well as raise awareness of compelling issues. Her wide-ranging practice encompasses time-based installation, sculpture, and digital works. Her work has been exhibited internationally, with public commissions including: the Federal Census Bureau in Suitland, MD; Cook and Phillip Park, Sydney, Australia; Chianti Sculpture Park, Chianti, Italy. Other works include temporary installations that have traveled from New York to the Muse Nacional de Antropologia in La Paz, Bolivia, the Museum of Contemporary Art in Krakow, Poland and the Arthur M. Sackler Museum of Art And Archaeology in Beijing, China. Glesta’s honors include the Pollock Krasner Foundation grant, the New York State Council for the Arts New Media Technologies grant, the New York Foundation for the Arts Environmental Structures fellowship, a Puffin Foundation grant, the LABA fellowship, and an Australia Council grant. She has been awarded residencies in Bundanoon, Australia; Bogliasco, Italy; Valparaiso, Spain and held various international teaching positions, including at the School of Visual Arts in New York, University of New South Wales and Sydney College of the Arts. 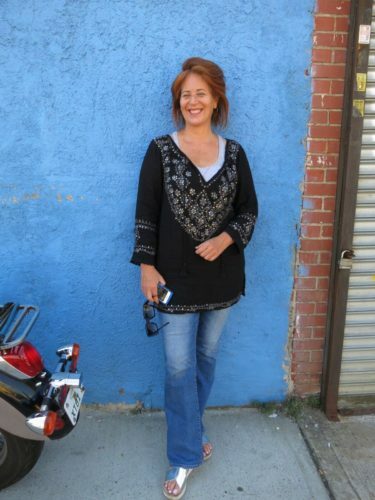 Her work has been reviewed and featured in multiple major publications, online journals, and broadcast media platforms. In 2017, one of Glesta’s most prescient works to date, WATERSHED was projected in Red Hook, Brooklyn covering the entire 80’ sidewalk in front of the Red Hook Public Library to commemorate the fifth anniversary of Hurricane Sandy in one of NYC’s hardest hit areas. 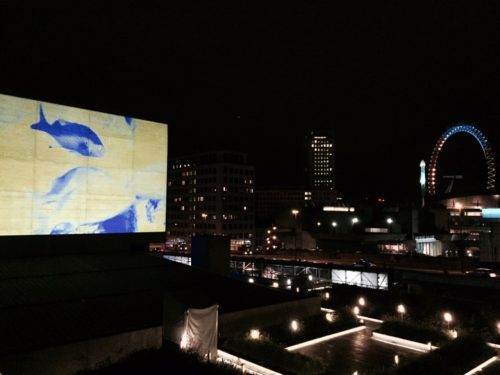 Prior to this iteration of WATERSHED, the video was projected onto the face of the National Theater in London during the Totally Thames Festival in 2015 and was an immersive installation on the floor of the Customs House NYC for an Al Gore/Generation Investments conference on sustainable energy. Glesta lives and works in Brooklyn, NY. “She aspires to have WATERSHED appear in other national and international coastal cities to raise awareness. Sculpture Magazine, March 2014 Review of the GERNIKA/GUERNICA installation at the Arthur M.
WATERSHED may be be traveling to Miami and Miami Beach in the near future.